Today, we continue the countdown to the Technique Tuesday May release! 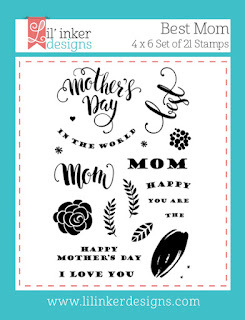 There are such fun stamps and dies for both dad and mom! 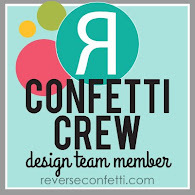 Make sure to check out the Technique Tuesday blog for all the products featured today and full list of inspiration from the rest of the Design Team! 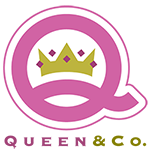 All products will be available (via their links) for purchase starting on May 1. The new Spaceship on the Border die is just fabulous! I created a galaxy sky (minus the flicks of white for stars since the die has stars already) using Distress Inks....Black Soot, Seedless Preserves, and Salty Ocean. I then die cut the Spaceship on the Border from this panel. I wanted this to be a flat card so I pieced all the pieces back in with various Distress Inked paper and glitter paper for the stars. 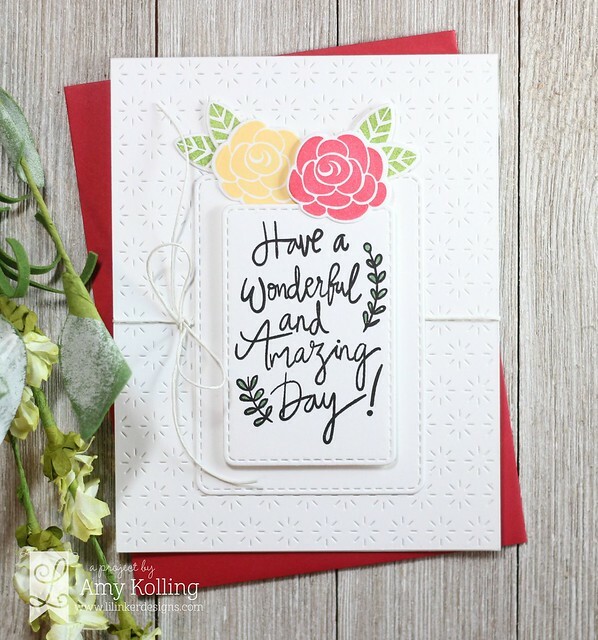 I love that it looks dimensional but is totally flat for mailng and perfect for an anytime card since I white heat embossed the 'Way to Go' sentiment from Congrats Grad. Thanks for sharing a part of your day with me! 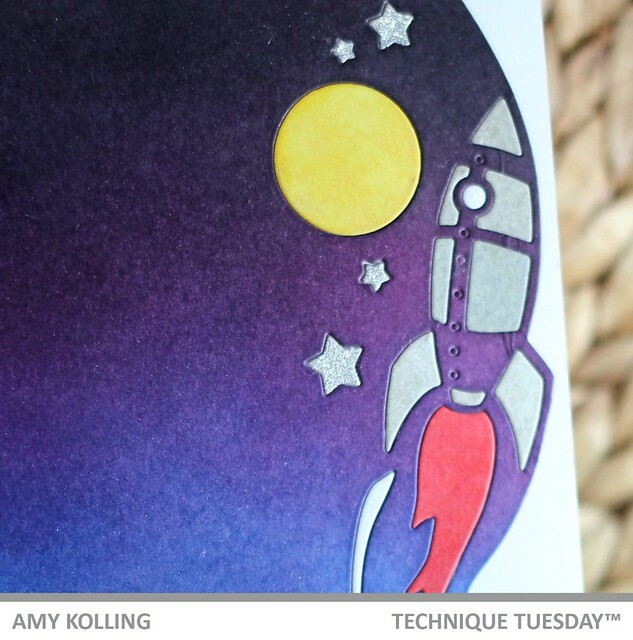 Today starts the countdown to the Technique Tuesday May release! 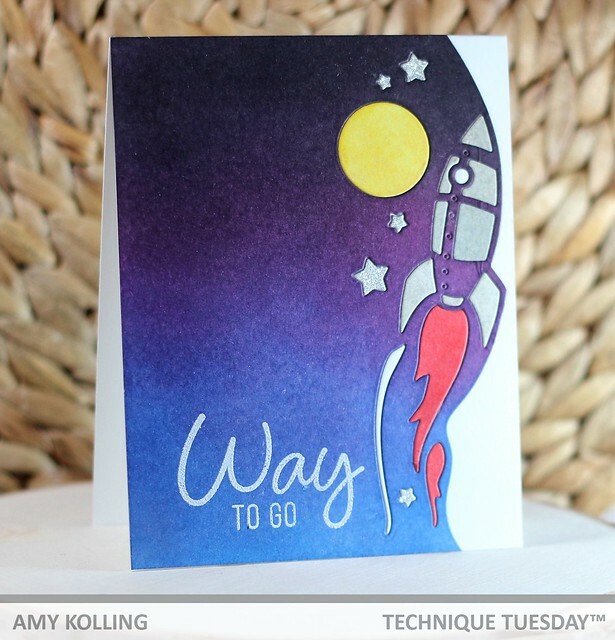 Make sure to check out the Technique Tuesday blog for all the products featured today and full list of inspiration from the rest of the Design Team! All products will be available for purchase starting on May 1. 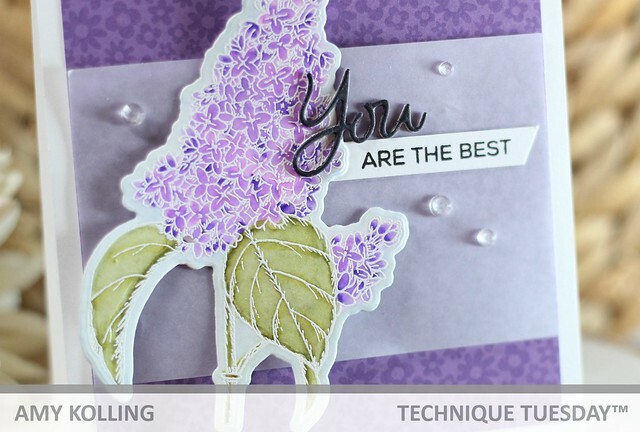 Working with the Lilac stamp and die set to kick off the Technique Tuesday release! I colored in the lilac image with Zig Clean Color Real Brush Markers after white heat embossing on Bristol Smooth paper. The colors just flow with a waterbrush! 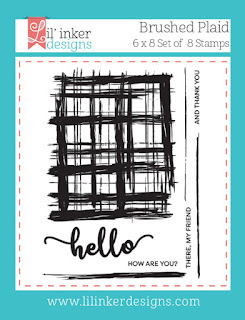 My image was layered over a complimenting pattern paper along with the die cut sentiment 'You' done in black with a small sentiment banner. Hello! 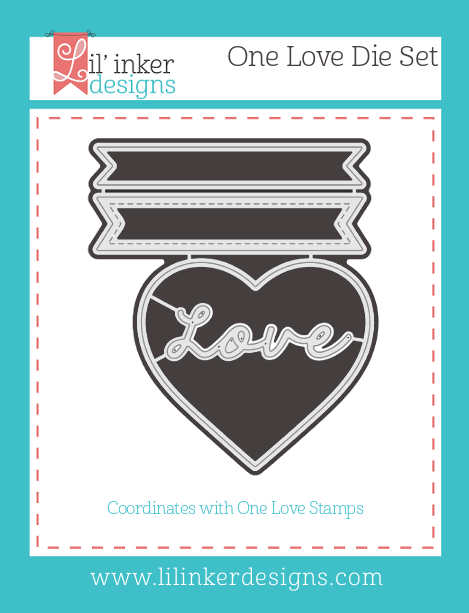 I'm here with a few more cards using the Love Jar Kit from Queen & Co.. One using a shaker from the kit and one using just the dies to create a jar! 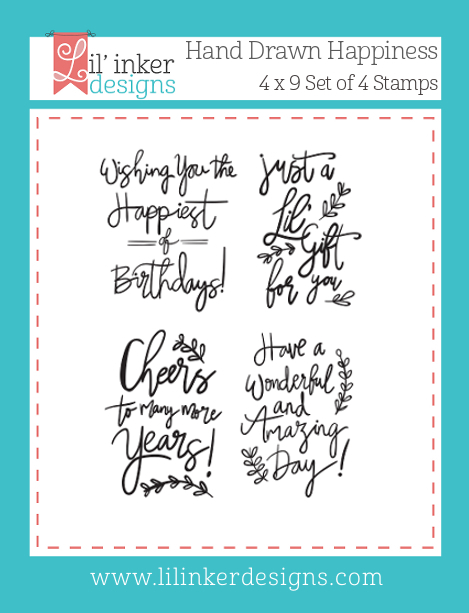 What I love about this kit is that you can use the kit to create non-shaker cards too. For my first card, I've used the stamps to design my own pattern paper. Using several of the flower images, I stamped them using various pigment inks. I embellished some of the bigger blooms with clear rhinestones. Using the jar dies from the kit, I added one die cut jar that has the same blue pigment ink lightly blended halfway up. I topped it off with a white die cut heart stamped with the gratitude sentiment and a heart with a tiny grey twine bow. My second card was done keeping it very simple using the jar shaker elements, foam shaker, twine, and the pattern paper. The jar was die cut with pattern paper using the jar "inside" as the backer for my shaker. I love this colorful striped paper included in the paper pad. 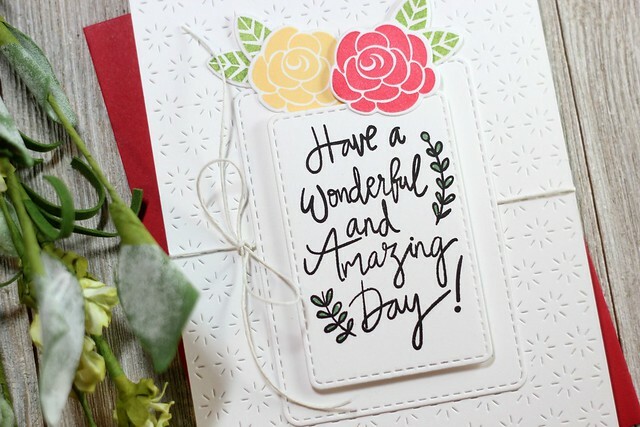 A simple sentiment stamped onto the die cut heart and tied off with yellow twine finishes the card. Thanks for sharing part of your day with me! 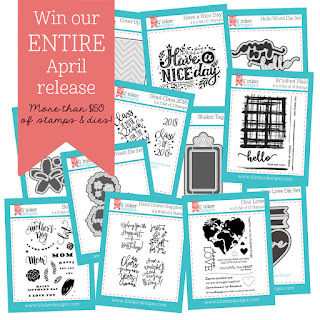 We are here for the final day of the Lil' Inker Designs April Release! 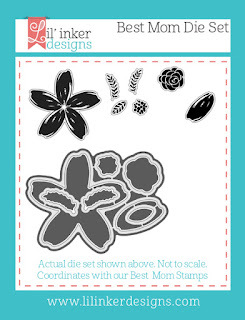 This release is FULL of amazing dies and stamps for the upcoming Spring season.......are you ready? Guess what?? The whole new release is now available and can be found HERE!!! Sharing a few Mother's Day cards today for the last day of the Lil' Inker Designs release. 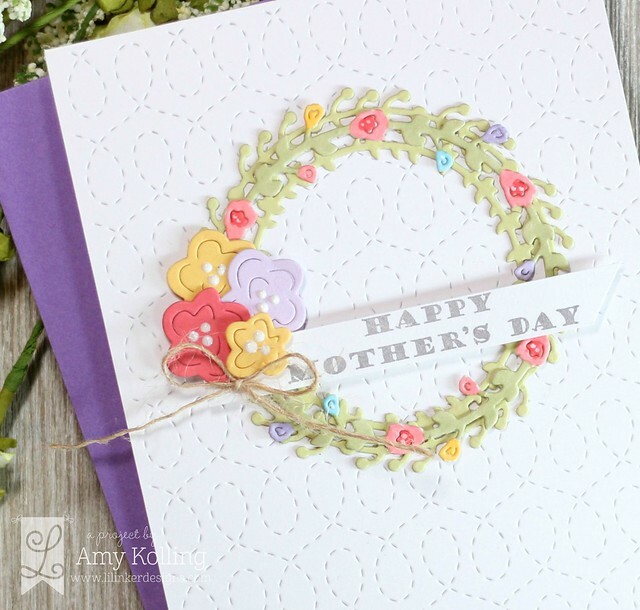 This first one uses the new Spring Wreath Die Set. I've paired it with a previously released Cover Up Die: Quilted Swirled Stitched Pattern. I used various Copic markers to color in parts of the wreath with flowers. A few Nuvo Drop accents and a sentiment banner finish this off! 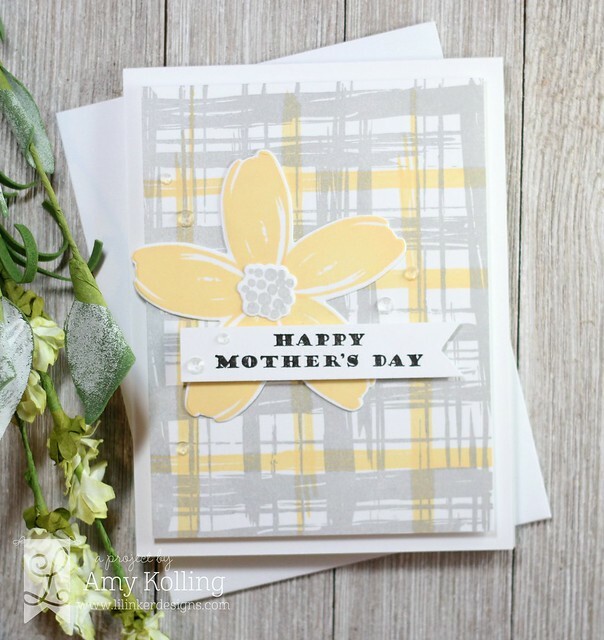 This card uses the new Brushed Plaid stamps paired with the flower from Best Mom. 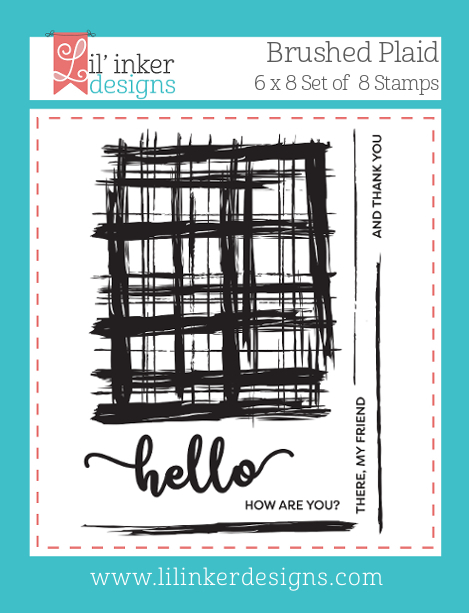 I love how you you can make your own plaid and add accent colors! 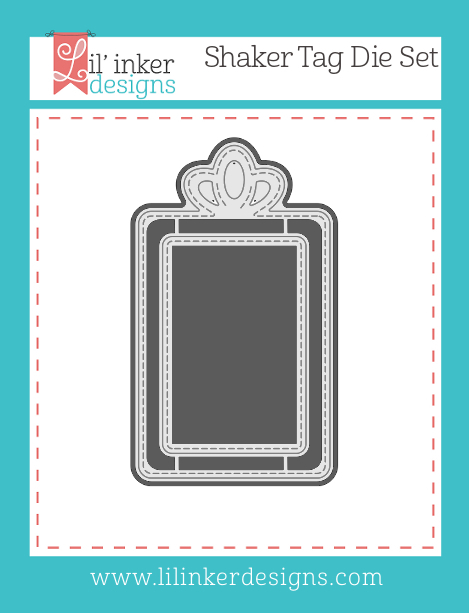 What about a card with the sentiment as THE focal point? 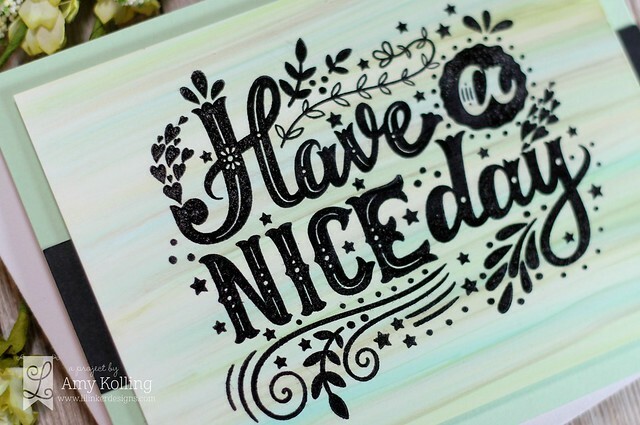 I've stamped 'Have a Nice Day' onto a panel of Yupo paper done in stripes with various alcohol inks with a gold mixative. 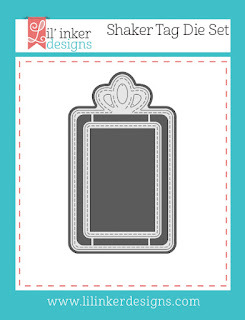 This panel was added to a mint notecard with a black accent strip. Now for the fun part! 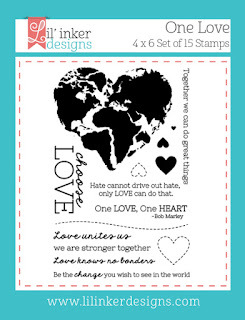 There is a giveaway for one lucky commenter......so make sure to check out the Lil' Inker Designs Blog for details! 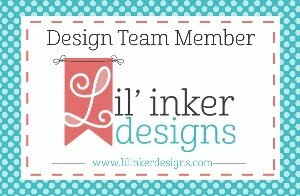 Lil' Inker Designs Store-----go SHOP! I'm sharing MORE inspiration using the April release from last week. 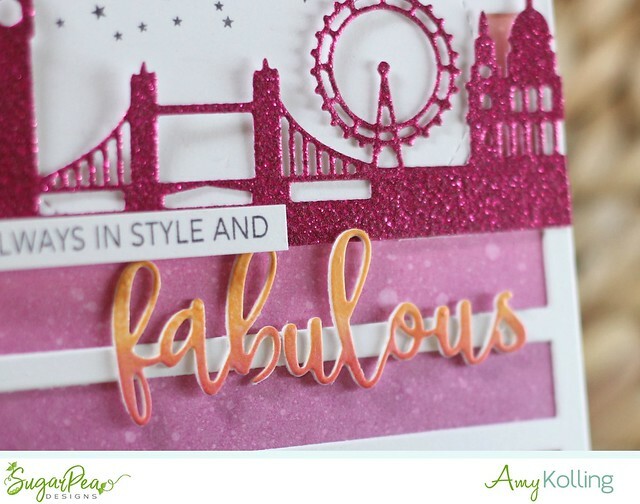 There were so many awesome new stamps and dies including this fabulous LondonScape SugarCut. This sentiment was just dying to be added to an orange and pink background along with a hot pink glittered LondonScape SugarCut. The background was blended with Picked Raspberry, Spiced Marmalade, and Wilted Violet Distress Oxide Inks. 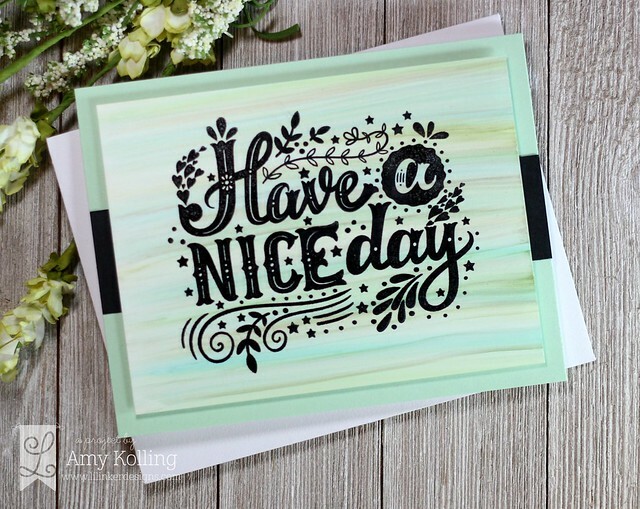 I also used the same colors on the "fabulous" die cut sentiment. All the elements were added to a Large Striped CoverPlate that was stamped with the tiny stars image from Chic Wishes. 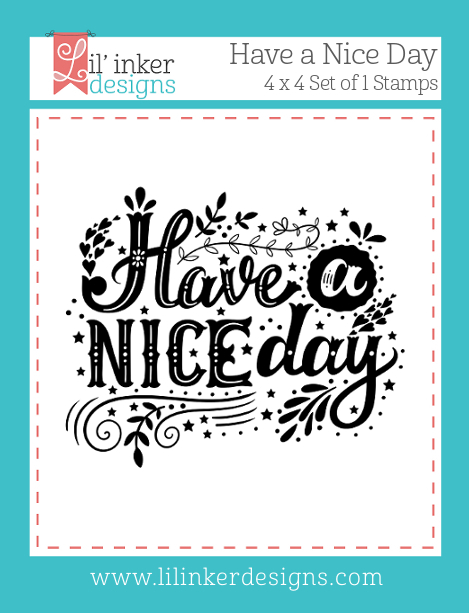 We are starting off Day 2 of the Lil' Inker Designs April Release! 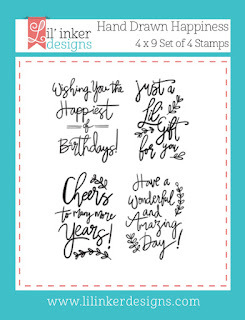 This release is FULL of amazing dies and stamps for this spring season......are you ready? Guess what?? The whole new release is now available and can be found HERE!!! 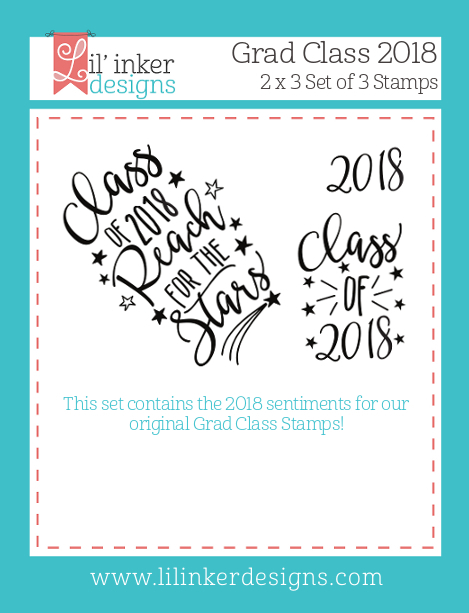 I thought I would share some cards for the upcoming GRADUATION season. 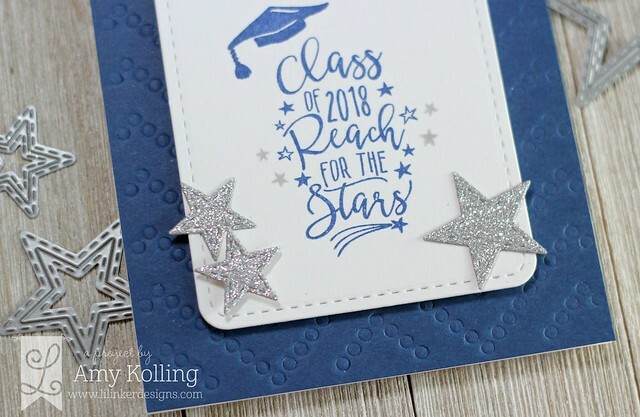 My first card uses a set that you may not think of as a graduation set but I just LOVE this sentiment. This set is called One Love. But how fitting is this sentiment? I stamped the world image with Broken China Distress Oxide Ink and spritzed it with water just enough that I could stamp and not distort the image. Worked perfectly! After drying, I used the One Love Die Set to cut out the heart. 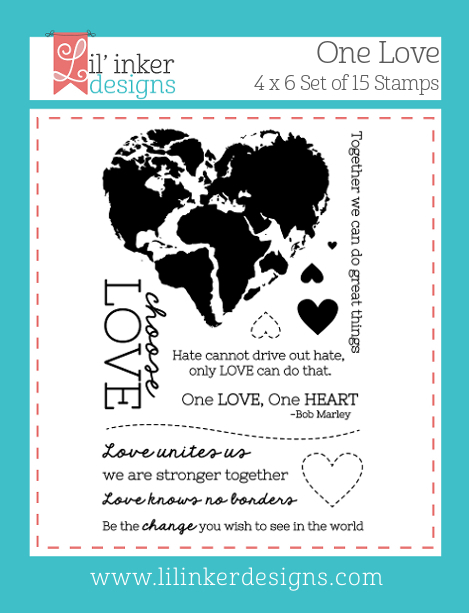 I stamped and white heat embossed my sentiment on a long black strip and fishtail cut the ends. My heart image was added to a panel of cardstock that I had watercolored stripes of the same Distress Oxide Ink. I created this graduation card using the Grad Class (supplement) and the original Grad Class stamps that were released last year! I started with a navy blue panel to which I "impressed" the Dotted Chevrons. I stamped my sentiment and some falling starts onto a Stitched Mats: Rounded Rectangles. I added some silver glitter stars using the Stitched Stars Die Set. The whole panel was then added with foam adhesive. 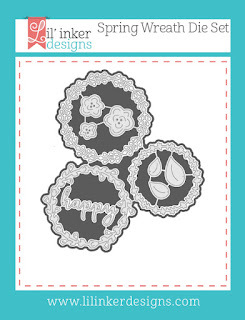 We are starting off Day 1 of the Lil' Inker Designs April Release! 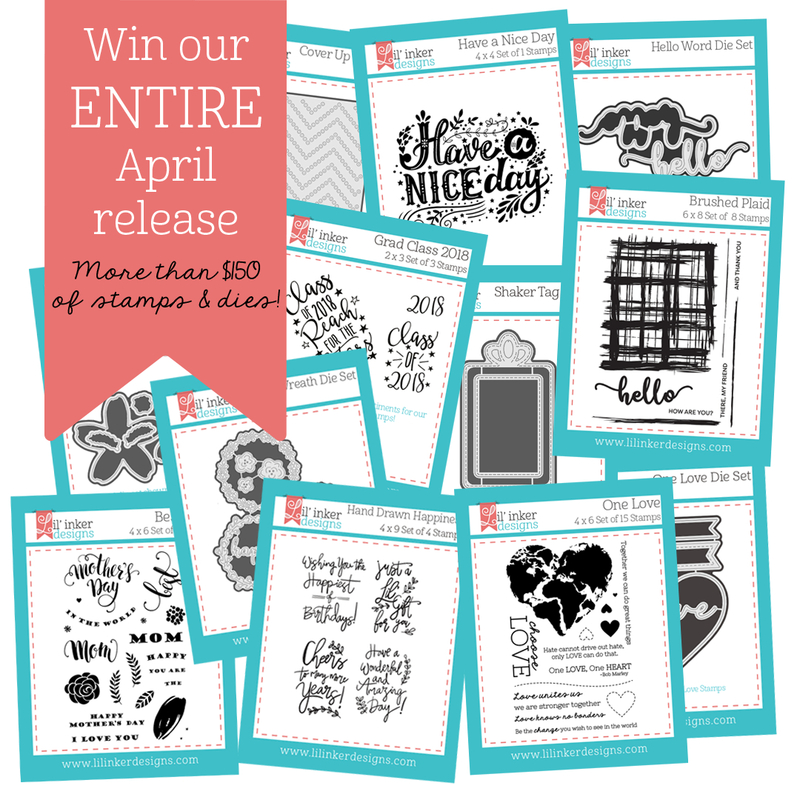 This release is FULL of amazing dies and stamps for this spring season......are you ready? Guess what?? The whole new release is now available and can be found HERE!!! I am starting the release off with my FAVORITE set called Best Mom and coordinating Best Mom Dies. 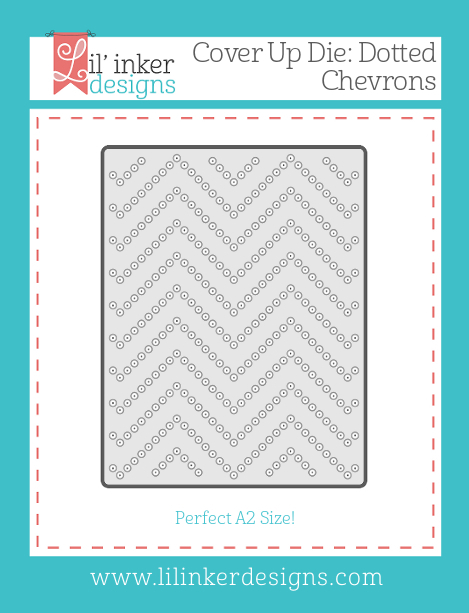 I've paired this with the amazing new Cover Up Die: Dotted Chevrons. The awesome thing about this flower stamp is it is just ONE PETAL! Die cut your flower FIRST. Then stamp the petals around! 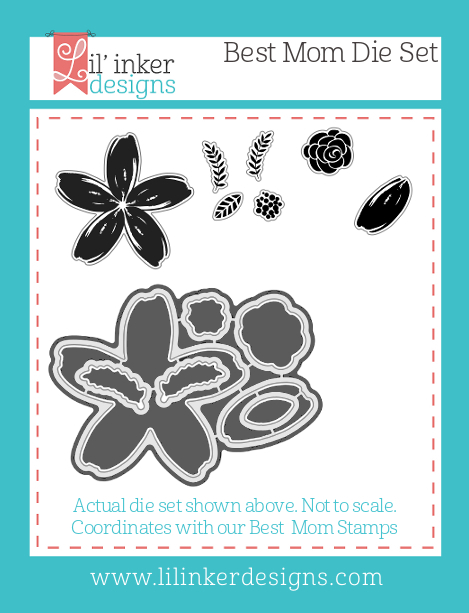 I found it easier to use the negative to pop the flower back in place to be able to use my Misti so I could get darker images by double stamping (I used Fresh Inks which are pigment). I even added some of the petals as leaves done in a light grey pigment ink. 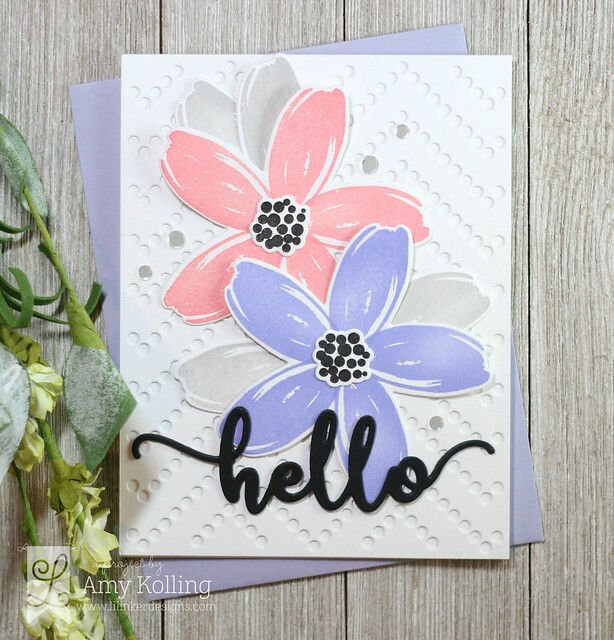 I layered my flowers onto a white Dotted Chevrons background and added a black Hello Die which is also new! 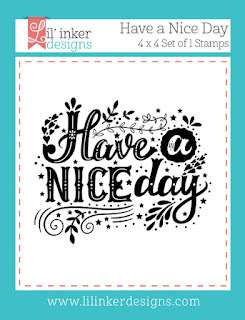 My second card uses the Handrawn Happiness stamps paired with the Shaker Tag Die Set. 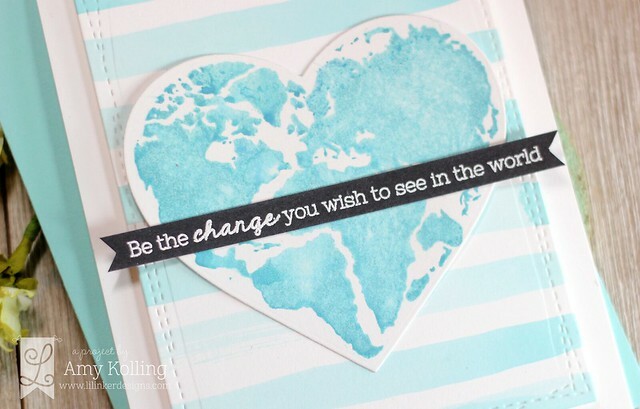 I stamped the sentiment onto the smaller rectangle die and colored in the greenery. I popped this layer with foam adhesive. To the top, I added stamped and die cut flowers from Best Mom. My focal image was added to a white notecard where texture was added using the Quilted Stitched So Sunny Die. Hello Bluebird / Oh happy day! Technique Tuesday / Release Day!